High blood pressure, or hypertension, is a condition where the force of your blood against the blood vessels is too high. High blood pressure is one of the leading risk factors for stroke. According to the WHO estimates, as many as 17.9 million people died from cardiovascular diseases in the year 2016, representing 31% of all global deaths. Of these deaths, 85% are due to heart attack and stroke. 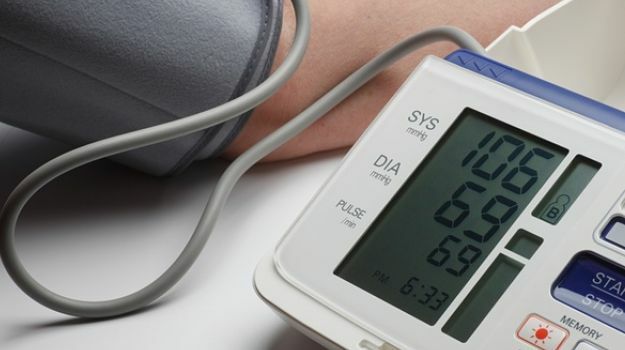 The normal range of blood pressure is 120/80 mmHg, if your blood pressure is consistently higher than this range, you must consult a doctor immediately. High blood pressure could result due to a variety of reasons. Poor dietary choices and lifestyle habits are also said to raise blood pressure levels. If you have been bingeing in to fries and greasy fritters regularly or having a drink or two a bit too often, you may be at a high risk. Bananas are extremely low in sodium. High blood pressure patients are often told to limit their sodium intake. Excess sodium puts extra pressure on blood vessels and also disrupts the water balance. Potassium acts as a vasodilator. It helps negate the ill-effects of sodium by eliminating extra sodium out of your system through urine. Banana is perhaps the easiest fruit to deal with. It’s good carb content and natural sugars are also healthy for diabetics. The easy-to-peel and eat fruit can be eaten as is, or you can also use them in healthy preparations. Blend them in smoothies; use them as toppings to your cereals. Bake your own home-made banana breads. There are options galore if you are willing to experiment. Make sure you do not go overboard, excess of anything could do harm to your blood pressure levels.